State legislators are to hold hearings this week on a bill that could legalize some sports gambling in Washington after decades of it being banned. House Bill 1975, sponsored by Majority Caucus Chair Eric Pettigrew (D) and seven others, calls for professional and college sports wagering to be legalized within tribal gaming facilities. The bill, introduced last Friday, also calls for the legalization of online sports gaming within those same tribal facilities — which would represent a significant shift for the nation’s only state where any form of internet gambling is currently a Class C felony. At least one regulator predicts the bill, if approved, could pave the way to wider-spread sports gambling in Washington because the eventual tribal allowances would all be subject to negotiation with the state under federal gaming compact laws. “The limits are actually not very big,’’ said Chris Stearns of the Washington State Gambling Commission. “The bill doesn’t say very much, but the way federal Indian gaming law works is, just as long as the state permits something it opens the door for the tribes to operate based on what they negotiate. Those negotiations, he added, likely won’t be finalized for another year or two if the bill passes this spring. For now, the bill proposes to limit all sports gambling — including any online wagering — within the physical confines of the tribal casinos. “Tribes have more than 20 years’ experience with, and a proven track record of, successfully operating and regulating gaming facilities in accordance with tribal gaming compacts,’’ states the bill, a public hearing on which is scheduled for Thursday morning before the House Committee on Commerce and Gaming in Olympia. 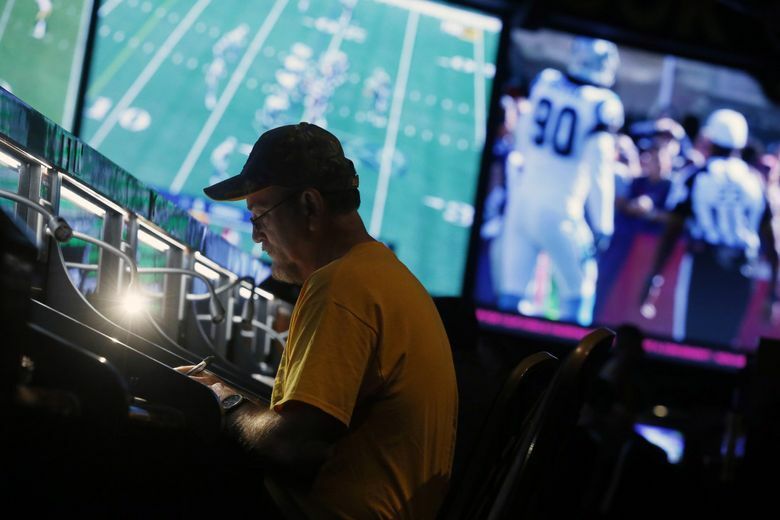 But the proposed changes also come on the heels of a nationwide push to legalize sports gambling after the U.S. Supreme Court last year quashed a prior federal law banning it since 1992. The striking down of the Professional and Amateur Sports Protection Act (PASPA) left it up to individual states to decide whether to legalize sports gambling and several have already moved to do just that. New Jersey, Pennsylvania, Rhode Island, New Mexico, West Virginia, Mississippi and Delaware have since joined Nevada as states allowing full-scale legalized sports betting. New York and Arkansas have passed bills calling for sports betting to become lawful pending their 2019 launch dates, while 29 other states — including Washington — are now in the process of weighing their own legislative efforts. Only 11 states have yet to introduce any new sports-betting legislation. Mobile betting, unlike the physical walk-up variety, has generated far more debate nationwide, with states slower to allow full-fledged versions of it. Much of that is due to concerns around gambling by underage youths with access to large swaths of money through credit cards. But mobile betting is also viewed as the fastest-growing sector within sports gambling, given the easy access that generally doesn’t require being in a specific physical location. The language in the Washington bill appears to be set up so customers can place bets by mobile phone, kiosk or walk-up teller only within the tribal facilities. That would necessitate a geo-fence — a virtual geographic boundary achieved by GPS or RFID technology — being placed around the property to trigger a response once a customer leaves the area. For now, the bill represents a significant step for a state seen as having among the toughest anti-gambling laws in the nation. It comes after state lawmakers in 2015 failed in attempts to legalize daily fantasy and full-season fantasy sports play here, which Washington considers no different from illicit gambling. Stearns, whose commission is in charge of enforcing the state’s existing gaming laws, said efforts at sports betting within the Oregon Lottery could put pressure on lawmakers here to broaden Washington’s allowances. The lottery hopes to roll out a form of sports wagering — likely limited to guessing the winner of games for now — in time for the next NFL season.